2004-2014: 10 years, 10 cities, 10 language schools! Small tribute to each of the ten cities, from A to Z. My stay lasted 1 month (January 2011). A like… Arno. The river that goes through Florence and Pisa. B like… Brasil. In January 2011, it was “Florença do Brasil”! The language school I was attending was literally invaded by Brazilian students! A perfect opportunity to learn… Portuguese! C like… Calcio Storico. Closer to rugby than football, this Florentine sport is played by 27-player teams. D like… Duomo. The dome of Santa Maria del Fiore cathedral (Saint Mary of the Flower) is the world’s largest with its 45-meter diameter. E like… Exactly 416. 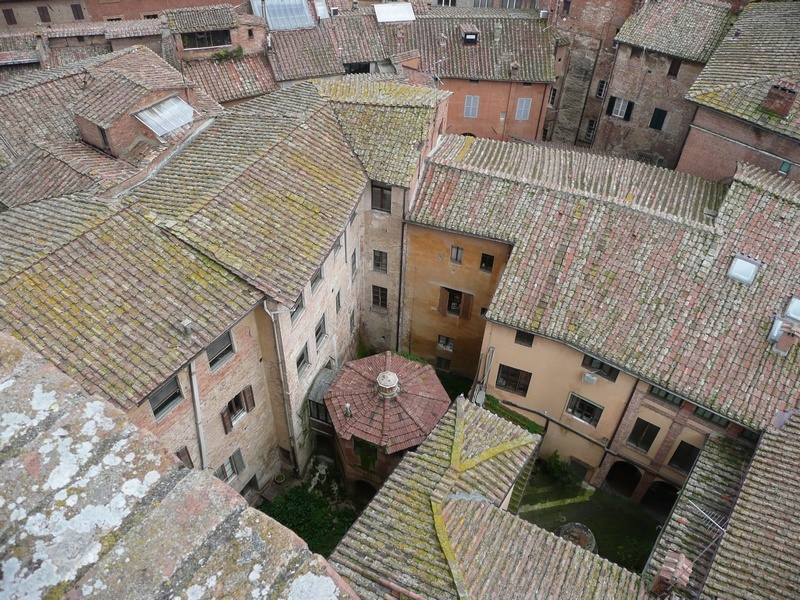 There are exactly 416 steps to climb in order to reach the top of Giotto’s Campanile. F like… Fiorentina. Florence’s most famous football team. G like… Gelati. Tuscany and Florence are, like many other places in Italy, sweet places to be for ice cream lovers! H like… History of Art. With a capital “H” and a capital “A” in Florence, the capital of the Renaissance. I like… Italy. Florence was Italy’s capital from 1865 to 1870. 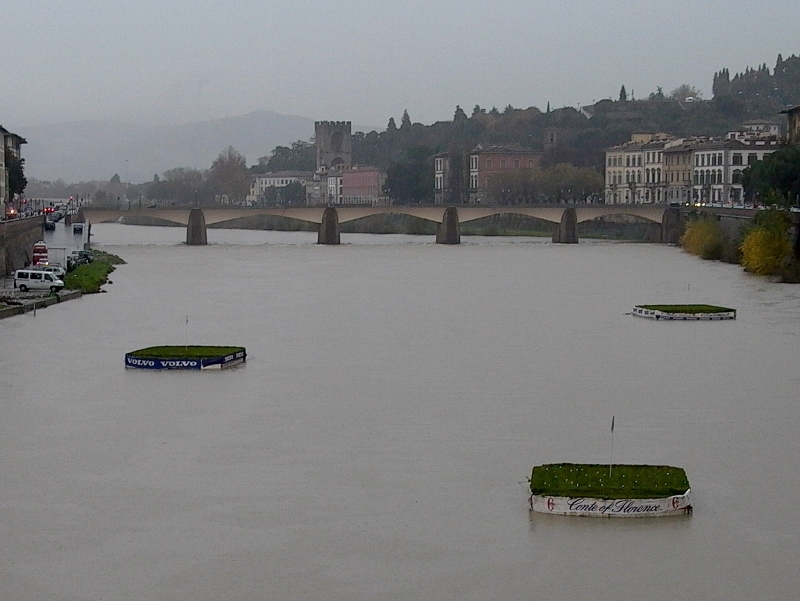 J like… Joyful golf players, playing from Ponte Vecchio on the Arno (see photo). K like… Kiev, Kyōto and Kuwait City. Three of the numerous sister cities of Firenze (Florence). M like… Michelangelo di Lodovico Buonarroti Simoni, aka Michelangelo, the famous Florentine artist. N like… Number of inhabitants. The Florentine are about 380,000. O like… Oppressive. Traffic is overwhelming everywhere in the city, except around the Duomo (pedestrian area). 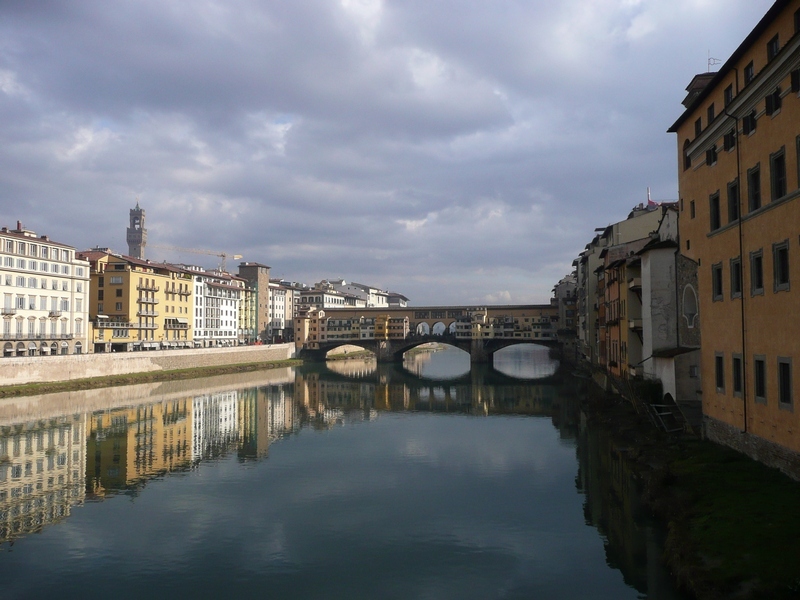 P like… Ponte Vecchio. One of the world’s most famous bridges. It was a pleasure to spot it every day on my way to school all along January 2011! Q like… Quantity of palaces. Every other house is a palace in Florence. And I am not exaggerating that much! R like… Renaissance. Florence rhymes with Renaissance. All is said. S like… Santa Maria Novella. Both a basilica and Florence’s central station. T like… Trattoria. Italian style restaurant. There are many of those in Florence: vino della casa, fresh pasta, etcetera. In two words: pure happiness! U like… Uffizi. Galleria degli Uffizi. Uffizi Gallery. Palace and museum in central Florence, hosting famous paintings like “The Birth of Venus“. V like… Vino. The wine. Divine. 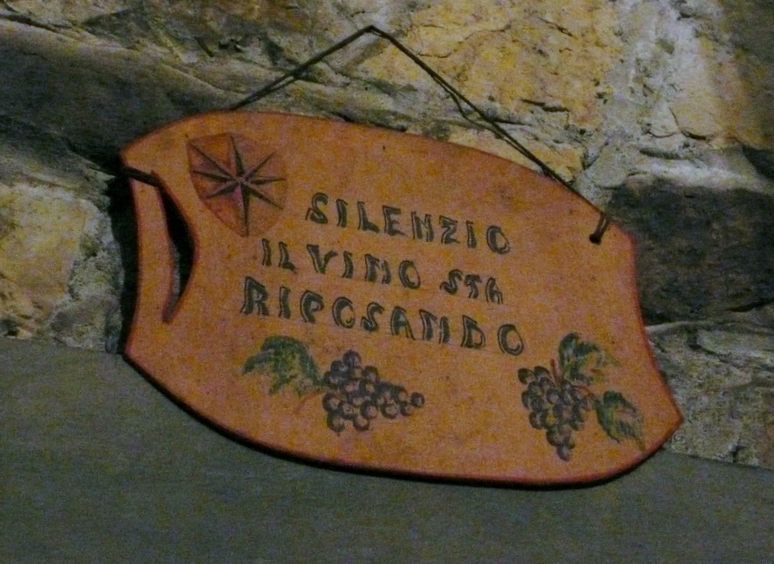 Chianti being the most famous to taste in Tuscany. W like… tramWay. Yes, there is a tramway in Florence. Y like… tramwaY. See W.
Z like… Zero. Zero is the number of goals scored against Fiorentina in Florence this season (during the four first games) in Serie A, the Italian major football league. Fiorentina currently leads the championship [October 21st 2015]! 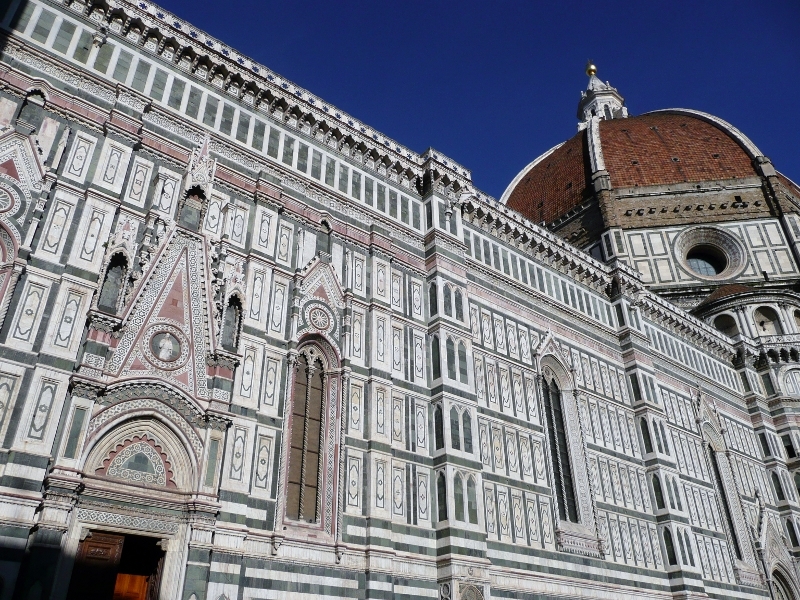 Do you have some tips for people planning a long stay in Florence and its region?